A short walk across Roxbee Cox Road and we can now see the entire eastern side of the building. 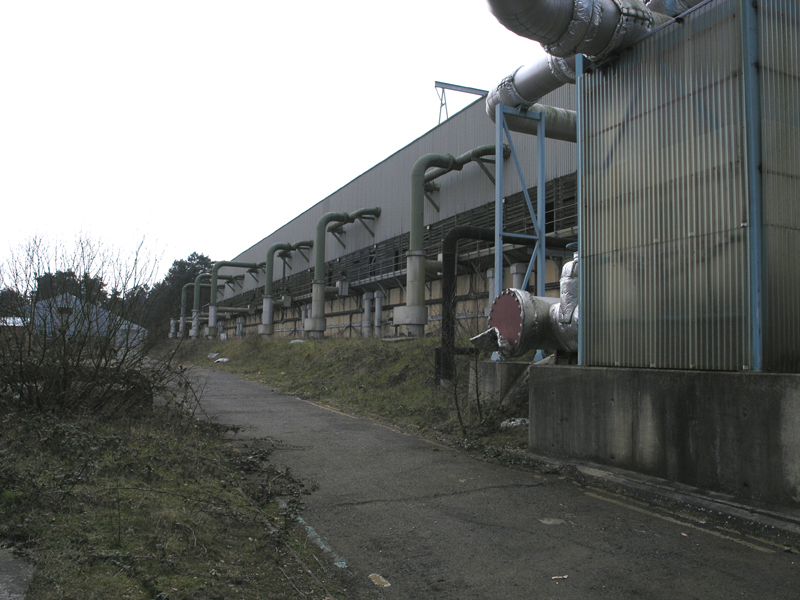 Water pipes from the Air House rise up to connect the hot water to the cooling tower. External stairs which lead to the roof can be found at the northern end of the cooling tower so we make for those. The eastern side of the Air House Cooling Towers.